Welcome and thank you for visiting the website of Salvador A. Campos Jr., EA., and Certified QuickBooks ProAdvisor. We are a full service tax firm for businesses and individuals dedicated to providing the highest quality tax service and guidance. We provide a variety of tax related services, including tax consultation, tax preparation, and taxpayer representation. To keep up-to-date with ever changing tax laws and provide the expertise you require from your tax practitioner, we are dedicated to keeping our tax skills honed with continuing education courses throughout the year. We have an excellent client-retention rate, and we are extremely proud of the high-quality services that our firm provides. Please, feel free to browse our website to see the services we offer as well as the many helpful resources we provide. These tools include downloadable tax forms and publications, the Interactive Tax Assistant (ITA) tool, financial calculators, news and links to other useful sites. Our firm is here for you year-round, not just during tax season. Whether you have a simple tax question, need advice on tax implications of a business decision, want clarification on a government notice, or any number of income tax issues, feel free to contact us. We also offer methods for secure sharing of files between ourselves and you. 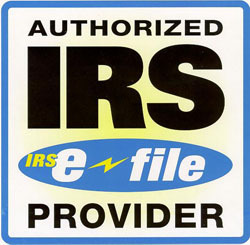 An Enrolled Agent is a federally licensed tax practitioner who has technical expertise in the field of taxation and is empowered by the U.S. Department of the treasury to represent taxpayers for audits, collections, and appeals before all administrative levels of the Internal Revenue Service. Enrolled Agents, like Attorneys and Certified Public Accountants, have unlimited practice rights. This means they are unrestricted as to which taxpayers they can represent what types of tax matters they can handle, and which IRS offices they can represent clients before. 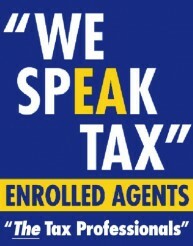 Enrolled Agents are the only taxpayer representatives who receive their right to practice from the U.S. Government. They are also the only tax practitioners that may represent clients in any part of the country. Learn more about Enrolled Agents in Treasury Department Circular 230 (PDF), which provides the regulations governing the practice of Enrolled Agents before the Internal Revenue Service. What is a Certified QuickBooks ProAdvisor? Certified QuickBooks ProAdvisors are typically CPAs, Enrolled Agents, accountants, and small business advisors who have been tested and certified by Intuit on QuickBooks. ProAdvisors help businesses customize QuickBooks for their unique needs and help them get the most out of the software. They provide a range of services, including: QuickBooks setup, training, payroll and consulting, among others. Please visit my Intuit Certified QuickBooks ProAdvisor’s professional Profile. We are open all year round. If you have questions after April 15th, we are available to meet with you.